Bricesco Limited offers the fabrication of structural steelwork, mechanical handling equipment, process plant and bespoke engineering solutions. We can supply to customers drawings and or specifications, or we can provide design along with manufacture and installation giving a full turnkey project. 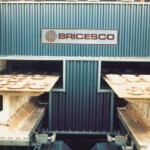 Established in 1932, Bricesco remains the oldest and largest kiln and furnace manufacturing company in the UK specialising in the Design, Supply, Installation and Commissioning of the most Advanced Firing Systems to the Ceramic and Heat Treatment Industries worldwide. 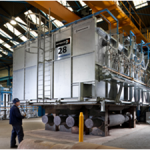 The synergies of the engineering, mechanical, heat knowledge, designers, fabricators and installers means that we are well placed across many industries to provide turnkey bespoke solutions for our customers. 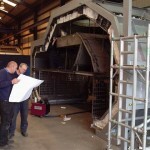 Our Company aim is to be the best in class designer and provider of Kilns, Furnaces, Bespoke Engineering Solutions for Mechanical Handling, Processing Equipment, Steelwork Fabrication, Assembly, Control Systems, Refractory Fibre related products, Installation, and Commissioning, providing a first class customer experience, and an assurance of premium quality.